All non EU orders VAT free - EU business orders VAT free,when VAT number inserted on-line. Providing Solutions for your M2M Projects. Intelligent and Programmable IoT Gateway MultiConnect® Conduit. Long Range LoRaWAN Ready Modules, MultiConnect® mDot. MultiConnect® mCards - GPIO, LoRa, and Serial (DCE&DTE). Sierrra Wireless FX30 IOT Gateway available in two versions, either RS232/485 or Ethernet. 4G (LTE) Industrial Modems and Gateways. Supplying M2M Industrial 2G,3G,4G,lTE Modems,Routers,accessories and communications hardware specific to your M2M project. We offer friendly, practical, free, down to earth advise in regard to marrying the relevant hardware to your specific requirements. This could be configuring 2G,3G,LTE modems,routers,or finding the right antenna system for your site or project. 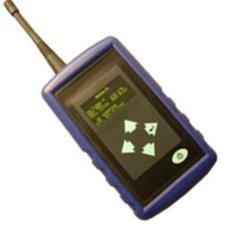 Erco-Gener GenPro 40e 4G/3G Programmable Modem. 3G Industrial Modems and Gateways. Maestro M100 3G Programmable Modems Supporting Sierra Wireless's OpenAT. Suggested replacement for Sierra Wireless FXT009 2G and FX100 3G modems. Gemalto Penta Band 3G Quad Band GSM Modem EHS6T. Quad Band, HSPA+ 3G Modem with Telit HT910-D Module. GSM/GPRS Modems with TCP/IP Stack. Maestro M100 2G Programmable Gateways. Sierra Wireless Airlink GL8200 3G Programmable Gateways. Gemalto Wireless Products. The very latest Cinterion (Gemalto) GSM BGS2T and EHS6T modems. DinBox Quad Band Industrial Modem with embedded software for IP connectivity to legacy serial devices. Multitech LTE (4G) Industrial Router, dual sim with WAN failover and Wi-Fi. The STD32 Quad-Band (Worlwide coverage) has 2 digital inputs, 2 digital outputs, web-server with a facility to add an IP camera, with the STD35 comprising 3 digitals inputs, 2 analogue inputs and 5 digital outputs. All units have CE and E Approval. Multitech iSMS Intelligent SMS Servers, 1, 4, and 8 port models allow scalability for applications of any size. We based management using quad band modems for worldwide applications. 4G Antennas Pared 12dbi Yagi, 850,900,1800,1900,2100,2600Mhz. 3G/GSM Omnidirectional antenna, 2.2db, 850,900,1800,1900,2100,2400 Mhz. 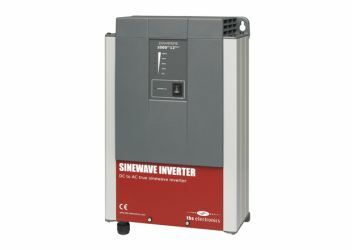 Power and Voltage Solutions , TBS Electronics Pure Sine Wave Inverters, 110 and 220 volt AC models. Models available,12 volt DC,3000 watts and 24 volt DC, 3500 watts. TBS Electronics Smart Battery Chargers and Monitors. Alfatronix converters 24 to 12 volts DC, isolated and non isolated, from 3 to 30 amp. Alfatronix 12v DC - 12v DC and 24v - 24v DC Isolators. Alfatronix Battery Protectors.